Authorities have not said what motivated the gunman to execute the shooting. Emanuel K. Samson, who used to attend the church, has been charged with murder. The shooting has shaken this relatively diverse pocket of Nashville, a community now fearful that Samson’s attack on a predominately white church could disturb a sense of racial harmony here. Samson, 25, is a native of Sudan but resettled in the United States in 1996. Nashville police and federal investigators haven’t publicly identified a motive for the attack, but the U.S. attorney’s office in Nashville has launched a civil rights investigation and federal authorities have opened a hate-crime investigation. After Samson shot Spann and the other parishioners, another man inside the church, Robert Caleb Engle, confronted him. As the two men struggled, police said, Samson’s gun went off, hitting him in the chest, and he fell to the floor. Engle then retrieved his own handgun and stood over Samson until police arrived. No matter how much progressive thinking people believe that cultural assimilation is a productive thing to do, their thoughts are deeply flawed. We are not living in the times when kingdoms were united by a simple marriage. In those days people had to swear fealty to a king, so the responsibility for their thoughts and actions were not their own, meaning people of different value systems could be united out of fear of punishment by a centralized figure. But that’s not the way it works in America. People are free here and we do not bend our beliefs to a centralized figure, or even an institution. That puts the burden of social order on the strength of our values and when a group of people are suddenly thrust into a group of another people who have different value systems, then the first primal reaction to it is to inflict violence upon the other so that a challenge of their value systems is not so obvious. That is technically why we have ever had every war the human race has seen. Now that progressive society has mixed up so many people of different values and put them all in each other’s faces—to force conflict in many cases—now they have to deal with the ramifications of that bad decision. As it stands the strong values of American tradition will prevail simply because they have worked in the past and those challenging those values come from failed states of thought where the roots of belief are very shallow—meaning their foundations are easily eroded away. That would certainly be the case of the Muslim faith and those who reside in poor communities where reading and wealth are not priorities. Their value systems are nurtured due largely to laziness—where other people work out the details and they simply grab on as the trend of the day—which is obviously the case of these young people looking for their way in the world and discovering that there are challenges to their emotional testaments. Without knowing the details of Emanuel K. Samson we can look at the situation and conclude that he was a young man who was finding the challenges of living in America difficult and he had developed enough rage to lash out in a murderous way toward those whose value systems were much different than his. So he grabbed a gun to inflict terror on those different from him. That’s an easy thing to do when the assumption is that the victims will be unarmed. This kind of thing will of course continue—and will likely get worse as the failed experiments of progressivism fizzle out over the next fifty years. Americans are rediscovering themselves and there are many people like the young Engle who will need to wrestle bandits to the ground under gunfire in the future. Concealed carry holders will be more important than ever before. 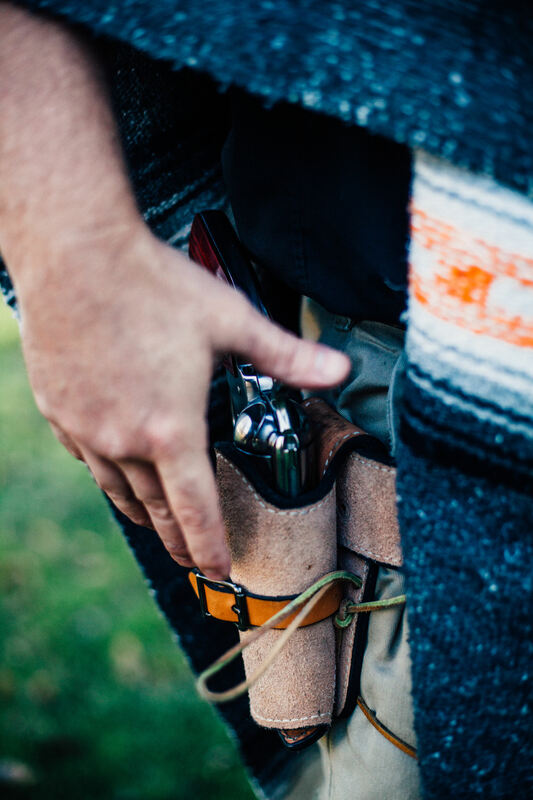 Personal firearm protection is an increasing need, not a diminishing one. The way to maintain a civil society is not to put the burden on an already overburdened “state” but to allow individuals to help the state by being the first responder to violence—then shielding those individuals from the burdens of legal activism in the wake. As many young men like Samson will discover in a world where capitalism forces values to be well defined—their foundations of belief from wherever they came from may come into conflict with the world around them. Their default reaction will be to inflict violence—so we need to be a well-armed society to protect ourselves from the psychological breakdown of these personal catastrophes, where immigrants finding the beliefs they had were failing to take root among free people—and them not knowing what to do about it other than kill those who are different from them. To all those who preach equality, nothing makes people equal better than a gun. Personal firearm protection is something that needs to be the wave of the future for all those who wish to live in a free and equal society. Putting more trust in the state certainly hasn’t worked, nor will it ever work. The only thing that does is to have people personally armed so that when people like Samson pull out their guns, we can pull out ours and shoot them dead. Banning guns doesn’t work because Samson would have then just went to a knife or some other raw weapon of malice. Uninventing the gun won’t work either. We have to deal with the values of our people everywhere—and that is something the progressives ignored from the start of their movement. They never thought this thing through, this mixing of people in the ways we are seeing where value systems collide without an answer to heal it, and now we are seeing the ramifications. The only solution is to have personal firearms to deter the violence, and when it does occur, those threats can be quickly removed. Ignoring the situation will not fix it. I would suggest everyone reading this to obtain a concealed carry permit and to carry a firearm everywhere you legally can. Hopefully you never have to use it. But if you do, you can be ready to blast people like this Samson kid into oblivion. He gave up all his individual rights when he walked into a Tennessee church and put bullets into innocent people. At that point he couldn’t be shot and decommissioned soon enough. Forget about the trails, forget about his human rights. Forget about the social ramifications. Once he made that decision to take the lives of other people—for whatever reason—he gave up his rights to live on planet earth. And only the gun can serve as judge, jury, and executioner in a society of clashing values. Only the gun makes them all equal.